My kids are well past high chair days but I love the sleek Scandinavian design of the Svan Signet Complete High Chair. 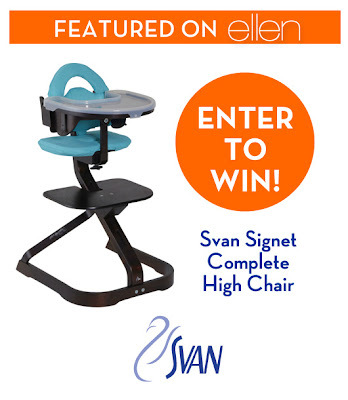 Ellen DeGeneres featured it on her annual Mother's Day show and now you can enter to win one on Svan's Facebook page. Click the image below to enter.